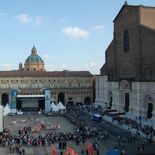 Research, travel, and legal dispatches from my Fulbright year in Bologna, Italy. 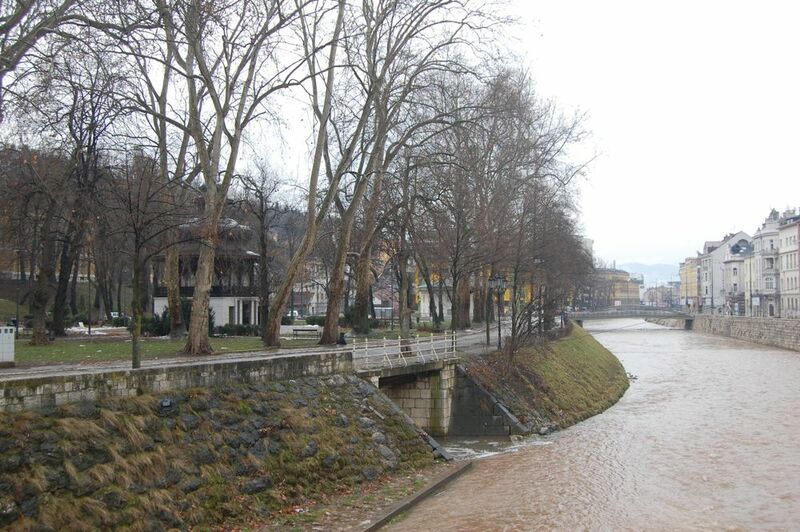 I took this month’s photos on a visit to Sarajevo, the capital of Bosnia and Herzegovina, to learn about constitutional development and rule of law in a post-conflict society. The trip was organized by the Center for Constitutional Studies and Democratic Development, a research institute that is jointly affiliated with the University of Bologna Faculty of Law and the John Hopkins University School of Advanced International Studies. My Fulbright project includes a constitutional law element — freedom of expression in Italy — which is how I became acquainted with the Center’s talented and gracious associates. In the coming days I am writing a more in-depth article about our findings in Sarajevo, but until then here are some visual highlights of the trip. Click photos to enlarge. 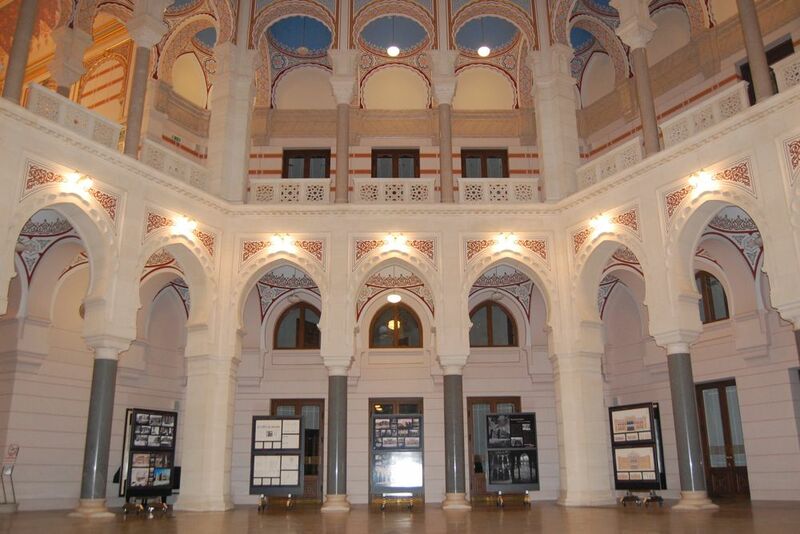 Above: The inside of the National Library of Bosnia and Herzegovina/ Sarajevo City Hall. Much of the library was destroyed in the summer of 1992 when the library was declared a military target during the Bosnian War. About 2 million volumes were lost. After almost 20 years of rebuilding, it was finally reopened this year. 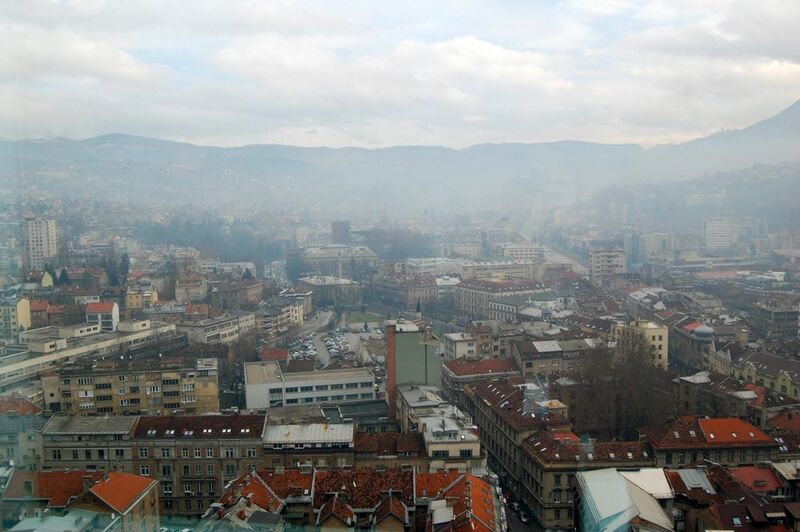 Sarajevo from above — more specifically the Bosnia and Herzegovina offices of the Organization for Co-operation and Security in Europe. The southern bank of the Miljacka River is a park called At Mejdan; it gets its names from the horse track that used to stand here. The exterior of the National Library. 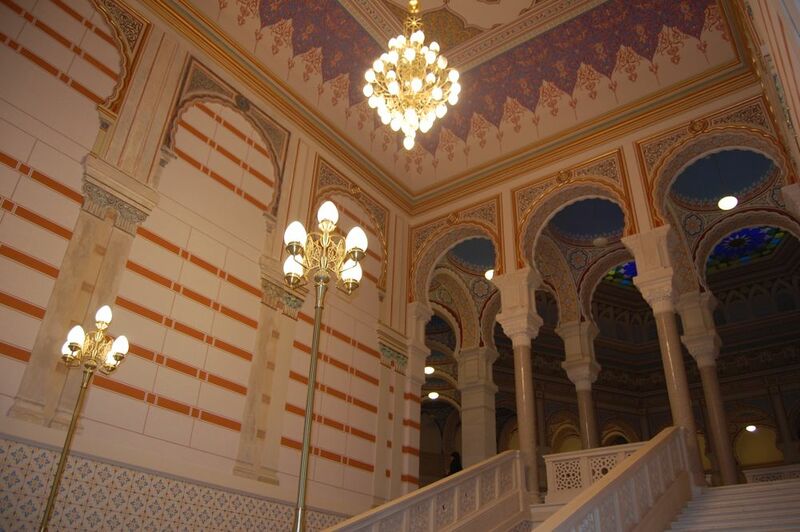 The entrance hall of the National Library. 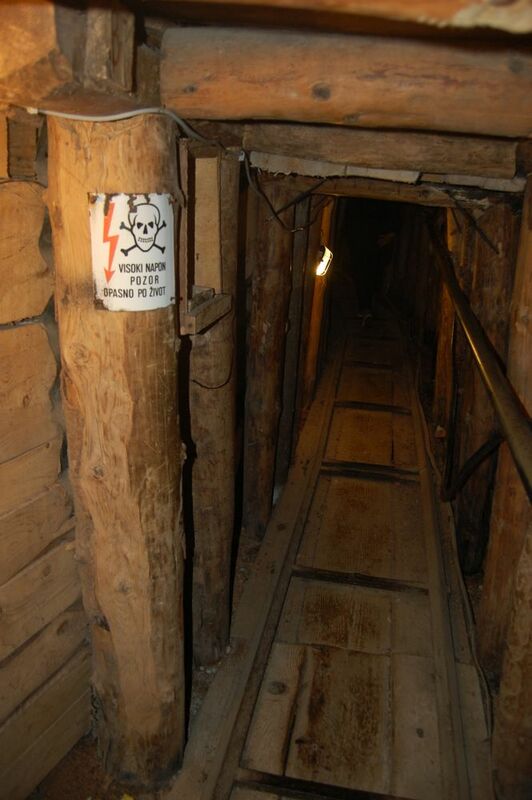 During the siege of Sarajevo, this 800-meter tunnel connected Sarajevo with free Bosnian territory. For more than 3 years it served as a lifeline for civilians trapped in the beleaguered city, as soldiers smuggled in everything from UN food aid to electrical lines — and evacuated some sick and elderly residents from the city. A museum called the “Tunnel Museum” now stands at the entrance to the free Bosnian territory. 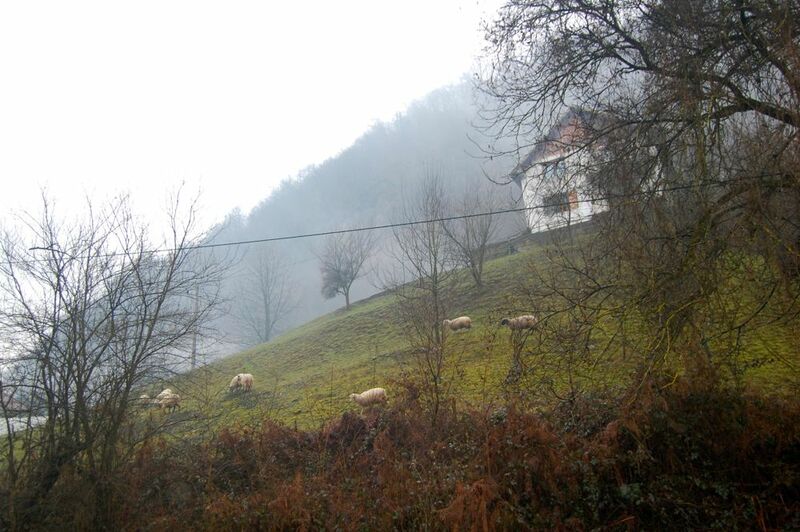 The beautiful hills of Potocari, one of the villages where the Srebrenica Massacre was perpetrated in July 1995. 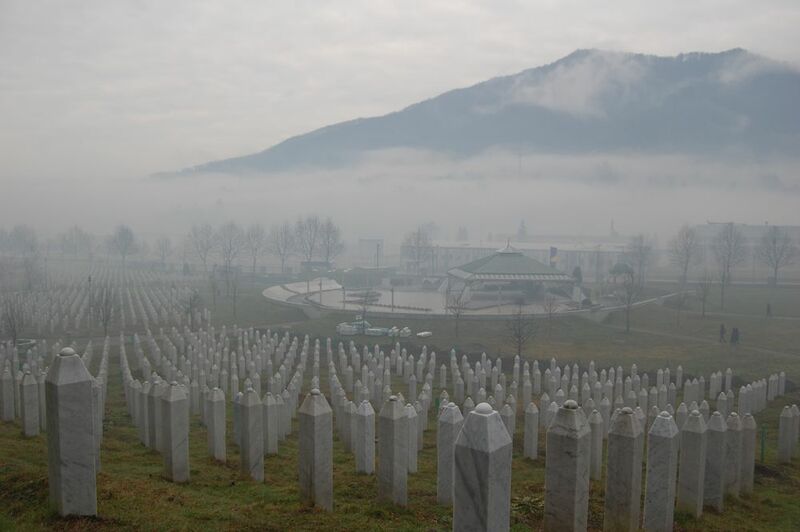 During the massacre, also known as the Srebrenica Genocide, more than 8,300 Muslim men and boys were slaughtered by members of the Serbian Army. Scores of Muslim civilians had gathered in the Srebrenica area seeking protection at a UN base outside Potocari. In exchange for protection, the civilians were instructed to surrender their weapons to the UN. The UN troops, however, were under orders not to fire on the Serbian Army, which in turn succeeded in forcing the troops to flee the area. The civilians were then unable to resist as the Serbian Army rounded up the women and young children and deported them by bus to the free Bosnian territory. The men and older boys were killed and dumped in mass graves. 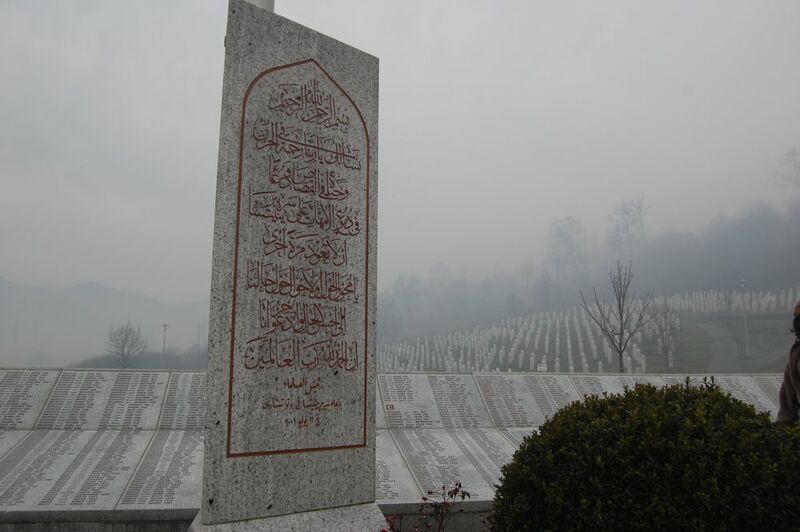 The remains of the massacre victims are buried here in the Srebrenica-Potocari Memorial and Cemetery to Genocide Victims. New burial sites and remains are still being discovered and DNA tested. The green posts are temporary markers for newly identified victims; after a year, proper headstones are installed. Thanks for sharing. Very moving. Chilling photos. 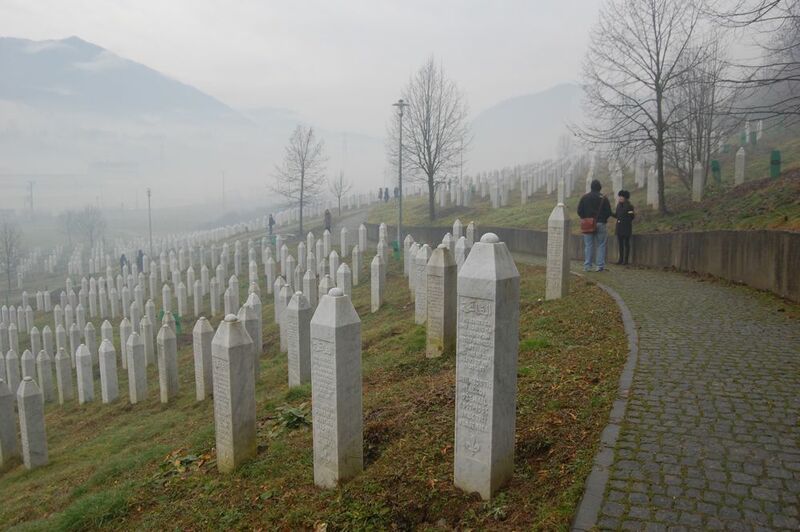 It’s horrible to contemplate what the women of Srebrenica have suffered. 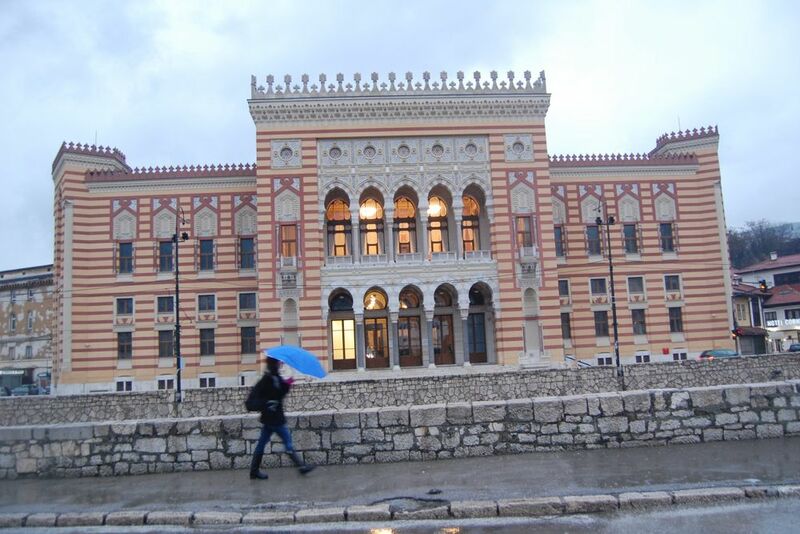 This entry was posted on January 31, 2015 by Janna Brancolini in Issue 3, Photo of the Month and tagged BiH National Library, Bosnia, Bosnia and Herzegovina, Bosnian War, Constitutional law, Genocide, Post-conflict, Potocari, Rule of law, Sarajevo, Sarajevo City Hall, Srebrnica.